Snoop Dogg brought his BUSH to the iHeartRadio Music Awards in L.A. on Sunday. The West Coast icon, who attended the show with his son Cordell Broadus, blazed the stage with a performance of his Pharrell-produced single “Peaches N Cream” featuring Charlie Wilson. He turned the Shrine Auditorium into a green garden, complete with giant peaches and bushes. 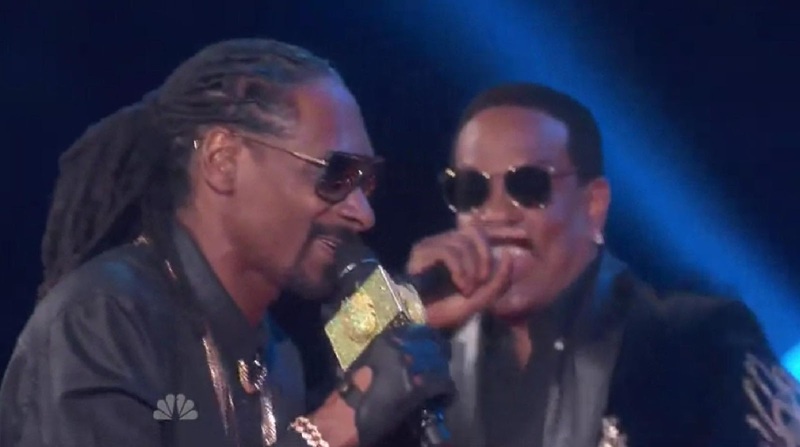 Confetti fell from the ceiling as the D-O-Double-G and Uncle Charlie turned the place into one big party. Even Taylor Swift and Taraji P. Henson were seen dancing at their table. “Peaches N Cream” is the first single off Snoop’s new album BUSH, which drops May 12.